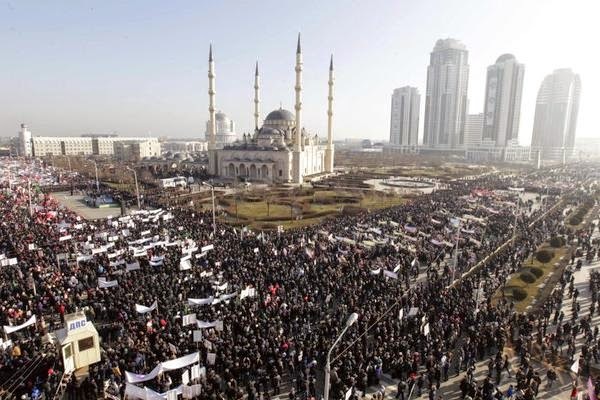 Islam is a religion of peace and Muslims in Russia will never allow others to use them for destabilizing the situation in the country, Chechen leader Ramzan Kadyrov said at a rally in Grozny on Monday. “We declare to the whole world that the Muslims will by no means allow using themselves for rocking the situation in the country. We have always been reliable defenders of Russia! And we are able today to offer rebuff to the enemies of our Motherland!” Kadyrov said. The Chechen leader told the crowd that Islam is a religion of peace and it teaches people how to live in peace and consent with other peoples of the country of various beliefs. In a video released Tuesday by the Islamic State, two men described as Russian agents testify that they had attempted to spy on the militants, infiltrate their computer networks, and assassinate the group’s leaders. Then a long-haired young boy calmly shoots the men in the back of the head with a handgun. The first alleged Russian agent is identified as Jambulat Mamayev. He says that he is from Kazakhstan and that he was sent to gather information on the Islamic State and get close to a high-ranking member within the group. The second man, Sergey Ashimov, tells his captors that he previously worked for the Russian FSB, the successor to the KGB, and was sent to kill an Islamic State leader, whose name is muted in the video. The child who carries out the execution appears to be the same child featured in a November 2014 Islamic State propaganda video. In that video, which also showcased the group’s new adult recruits from Kazakhstan, the boy identifies himself as “Abdullah” and speaks predominantly in the Kazakh language. Where Has Umar Al-Shishani Gone? Although there was a flurry of media attention in October and November focusing on Umar al-Shishani, Islamic State's military commander in Syria, he has been conspicuously absent from the scene in recent weeks and months. Media interest in Umar al-Shishani reached its peak in mid-November, when the head of Russia’s Chechen Republic, Ramzan Kadyrov, caused a storm by claiming on his Instagram account that Umar Shishani -- whom he referred to as “the enemy of Islam” -- had been killed. Although Kadyrov later deleted that Instagram post, Russian and Western news outlets speculated that perhaps the Chechen leader did have information about Umar’s death. According to the bill, “joining and/or participation in an illegal formation operating on the territory of a foreign country or receiving training from such formation; recruiting or training a person with the purpose of joining, participating or otherwise promoting the activities of such illegal formation; gathering of persons and/or dissemination or use of materials and/or symbols related to membership and/or participation in illegal formation” will be punishable with imprisonment from 5 to 10 years. A former Guantanamo detainee, Mullah Raouf Khadim, is reportedly leading a contingent of Islamic State fighters in Afghanistan's southern province of Helmand. Khadim's role was first reported by The Wall Street Journal and the Associated Press (AP). Raouf had served as a top Taliban military leader until he and his allies lost an internal power struggle, paving the way for him to switch allegiances. 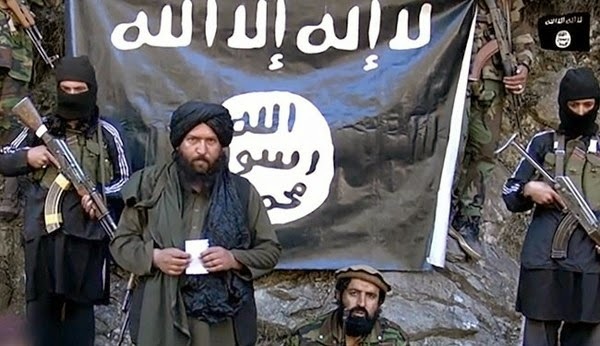 "A number of tribal leaders, jihadi commanders and some ulema [religious leaders] and other people have contacted me to tell me that Mullah Raouf had contacted them and invited them to join him," the AP quoted Gen. Mahmood Khan, an Afghan military official, as saying. Following President Ashraf Ghani's recent trip to Turkmenistan, leaders in Kabul and Ashgabat have now agreed to major projects involving trading natural gas, building a railway network and border terminals for their respective energy markets. Ghani has said the value of trade between the two countries will double in the next year. "At the moment, Afghanistan has turned into a bridge, our trade and transit can create many opportunities; energy and electricity and natural gas will be sent to Afghanistan and to other countries through Afghanistan," President Ghani said on Thursday. "The extension of our relationship is not only a victory for us but also for the countries in the region." The projects specific to Afghanistan and Turkmenistan that Ghani hammered out with leaders in Ashgabat this week join mega projects like the TAPI pipeline and electricity transit development as part of a larger effort to promote cooperation and integrated networks of trade in the South Asia and Central Asia region. The United States is giving Uzbekistan hundreds of military vehicles, says a top U.S. diplomat in an exclusive interview with VOA Uzbek. It is one of the largest equipment transfers by the United States to a Central Asian nation and a move likely to renew concerns over Uzbekistan's human rights record. Daniel Rosenblum, Deputy Assistant Secretary of State for Central Asia, said Uzbekistan needs the vehicles for counter-terrorism and counter-narcotic efforts. "They will all be provided to the Ministry of Defense and can only be used by the Ministry of Defense," said Rosenblum. "These are definitely defensive vehicles, they are inherently defensive. Also, we consider them to be non-lethal. They are intended to protect personnel, crews and passengers in areas that there might be explosive devices, mines, so on." 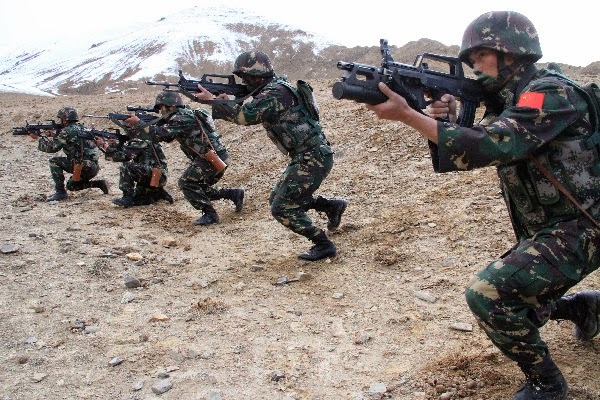 China is strengthening its military power in its northwestern frontier region bordering Afghanistan and Central Asia. The military reinforcement comes against a backdrop of United States troops pulling out of Afghanistan and extremists launching terrorist attacks on civilian targets. People's Liberation Army troops based in the Xinjiang Uygur autonomous region will vigorously enforce border controls, according to their chief. More than 800 people have been stopped trying to illegally cross from China into Vietnam in just one year, with the majority attempting to get to jihad training camps, Beijing revealed last night. Police said most of the cases were spurred on by the East Turkestan Islamic Movement, which is spreading extremist religious views and provoking people to leave the country and participate in jihad, Xinhua reported. Most of those caught trying to sneak out of the country had watched underground terror videos or had even engaged in “terrorist” activities, killing people before leaving the country, Xinhua said. A group of about 10 people, including children and women, approach the border between China and Myanmar late at night. They attempt to sneak across a ford into Myanmar, but are captured by Chinese police who are waiting in ambush. Southwestern China has witnessed a spike in people illegally crossing the border into Vietnam and Myanmar in the past two years. Police claim that many people who have attempted to sneak out of China have participated in underground Islamic preaching or have been involved in terrorist activities, and that they have often paid tens of thousands of yuan to get to the Middle East from the Xinjiang Uyghur Autonomous Region. The police have said that such activities are directed by the East Turkistan Islamic Movement (ETIM) and that the organization encourages these people to carry out attacks locally if they are unable to cross the border.